OM VISA Consultancy - Global Immigration, Students, Visitor, Business & Work VISA Consultants: Study in one of New Zealand’s largest Institutes of Technology !!! Study in one of New Zealand’s largest Institutes of Technology !!! 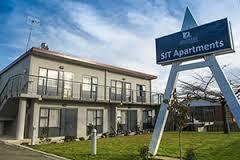 · SIT is a tertiary institution established in 1885. · SIT offers over 180 + programmes in a wide range of subjects at postgraduate, graduate and diploma levels. · SIT provides assistance to students on all employment issues. This includes conducting workshops on CV preparation and interview techniques, and finding appropriate employment/internship opportunities. · Live projects, internships and industry practice in the programs provide practical training and develop work connections and job opportunities.